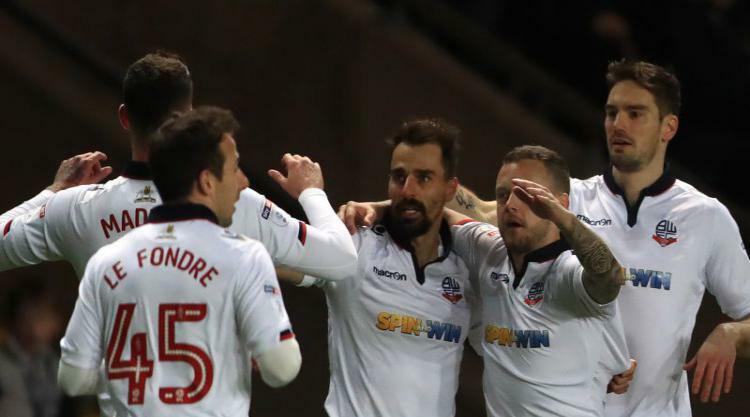 Congratulations to Bolton Wanderers winger Filipe Morais, who has been voted Sky Bet League One PFA Fans' Player of the Month for March, beating fellow nominees Adam Le Fondre (Bolton Wanderers), Chris Basham (Sheffield United), Nile Ranger (Southend United), Alex Jones (Bradford City), Nathaniel Mendez-Laing (Rochdale). The award comes after a brilliant March for the journeyman Portuguese, with Bolton going unbeaten winning five and drawing one of six league matches. With Morais scoring twice, including an 82nd-minute winner against Northampton, in a run that has seen Bolton cement and automatic promotion place and within touching distance of League One leaders Sheffield United. 31-year-old Morais, who made two appearances for Portugal's Under 21's, had been released by League One rivals Bradford in January, but was picked up by Bolton a day later and is now re-paying the faith shown by the Trotters in fairly emphatic style. Morais, nicknamed "The Postman", put on a master class against Gillingham, providing all four assists in their 0-4 rout at Priestfield. “Why wouldn’t I want to stay here? It’s out of my hands and a decision that can only be made by the club – but of course I want to stay here,” he told The Bolton News. “From such a bad position I was in at Bradford at the start of the season, being in and out for six months, I find myself in a very good position now. I’ve been playing well, will hopefully get promoted, and I just want to continue doing the hard work because I feel like I will get the rewards.